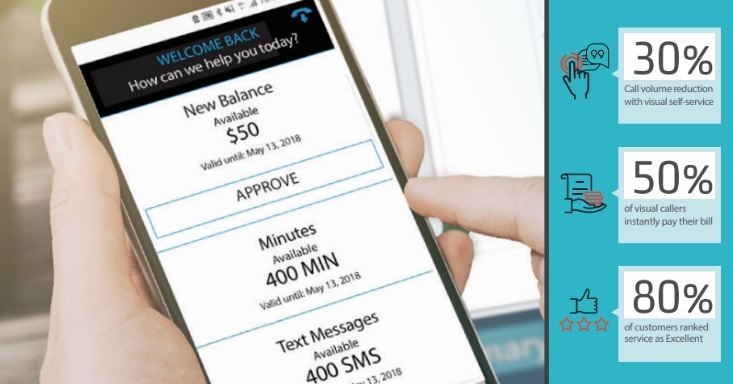 CallVU’s advanced digital engagement platform gives customers of a major mobile operator access to self-service and the ability to resolve a wide variety of account issues. The company’s VP of Operations attests to an exceptionally positive experience implementing CallVU’s visual IVR solution “They presented the quickest understanding of our business, they responded with the most relevant use-cases, which were based on our actual operational challenges and were therefore directly relevant in meeting our needs. CallVU went out of their way to satisfy all of our technical questions regarding system setup and product road-mapping. I think the success of implementation came down to CallVU’s straight-forward processes”.